As a biblical scholar, I spend quite a bit of time reading the Bible. I don’t read the Bible because I’m a biblical scholar. I’m a biblical scholar because I enjoy reading the Bible. When I was a Ph.D. candidate in Yale University’s New Testament program, I had the honor of preaching at an ordination service for a classmate who was being ordained as a Presbyterian minister. Following the service, a number of my classmates asked me why I wanted to spend four to seven years working on a Ph.D. in New Testament when I clearly had a “gift” for preaching. I responded that it was actually my academic study of the Bible coupled with my life experiences that illumined and enlivened my preaching. I did not grow up reading the Bible. I was almost 19 years old and a U.S. Army soldier stationed in the Federal Republic of Germany when I purchased my first Bible. A series of life-changing events led to me “accepting Jesus Christ as my personal lord and savior.” A few months after purchasing my first Bible, I attended a revival service at a local church. I returned to post that evening describing the service to fellow soldiers, who, along with myself, comprised a group self-identified as the “Soul Patrol” (we were African-American Christians who strongly believed in the necessity of Christian evangelization). 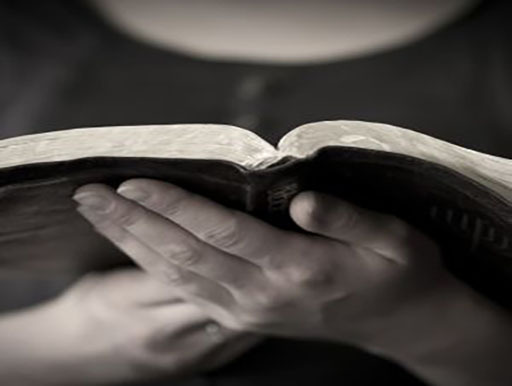 “Of course, I believe the Bible is the ‘Word of God.’ What does that have to do with anything?” While I had been reading the Bible, I was defending the Bible as the Word of God after only having read it for about three months. They confidently responded that the Bible clearly states that women are not permitted to speak in church or to have authority over men. One of them opened the Bible to 1 Timothy 2:8-15, and proceeded to explain how God had entrusted spiritual leadership to men. I looked at the passage for quite some time, deeply confused and perplexed. I shared with them experiences of growing up in Indiana where my father and I would get up every morning before my mother in order to remove burning crosses from our front lawn. We were the first black family to integrate an all-white neighborhood. I shared stories of being confused as a 7-year-old kid wanting to eat at a particular restaurant where I saw a lot of white children eating and being told by my father we could not eat there. I shared how I had spent what felt like all of my life resisting and fighting against being told I could not do something because I was black and that there was no way I was now going to do to women the same things that had been done to me. While I thought they would clearly understand my line of reasoning, they were adamant that the Word of God was clear. I was deeply conflicted, but I was sure about one thing: I could not do to anyone else what had been done to me all of my life. I believed the Bible was the Word of God, but I also knew no amount of reading the Bible would cause me to accept the teachings of 1 Timothy. If that passage of scripture accurately reflected the will of God, then I wanted nothing to do with God. I did not realize it at the time, but that moment began my journey toward attaining a Ph.D. in New Testament studies. More than 30 years, three master’s degrees and one Ph.D. later, I can clearly and confidently articulate how 1 Timothy (like all biblical writings) is a product of its social-historical context. After years of reading the Bible, I can illustrate how and why the author of 1 Timothy is responding to accusations that the early “Jesus movement” was promoting a “discipleship of equals” and disrupting the patriarchal social order of imperial Roman society by promoting notions of “equality” among women and slaves (e.g., Galatians 3:28). I can demonstrate how many of the Christian writings of the late first century were written to encourage Jesus followers to honor and respect the social mores of the Roman Empire and to promote the acceptance of this new religious movement within the pantheon of “accepted” Roman religions. I can explain how and why the content of 1 Timothy contradicts much of what Paul writes in his earlier letters where he acknowledges and commends female church leaders, identifying them with the same title he uses to identify himself — “servant of Christ.” I can clearly demonstrate the transition from the acceptance of female leadership in the early Jesus movement to the eventual rejection of female leadership. I can even show how the name of a female apostle, “Junia,” is erased from Paul’s letter to the Romans and replaced with the male name, Junias (Romans 16:7). Of course, one does not need a Ph.D. in order to read the Bible, but my academic study of the Bible has taught me more than I can begin to articulate in this blog post. Most importantly, it has taught me that there has never been one monolithic understanding of God or of Jesus; instead, the Bible demonstrates that there always have been multiple ways of thinking about the divine. Furthermore, the canonization of various literary genres — satire, apocalyptic, poetic, psalms, short stories, gospels, letters, history, etc. — clearly demonstrates the necessity of multiple reading strategies. Unfortunately, a significant number of students arrive in my Introduction to Biblical Studies course having been taught there is only one way to read and think about the Bible. However, when these students, who have struggled for so long with their own religious identity, realize they are not “less than” because they read and understand the Bible (and even Christianity) differently, it is though they are actually experiencing “salvation”— deliverance from oppression. While a Ph.D. is not necessary in order to read and/or understand the Bible, my reading of the Bible since receiving my doctorate promotes the inclusion of far more people than my reading of the Bible before my Ph.D. My doctorate has taught me to read and understand the Bible in ways the church never taught me — to read in ways that promote the worth, value, and acceptance of all people, regardless of religion, race, ethnicity, gender, sexual orientation, age, ability, or any other category. Because of what my Ph.D. has taught me about the Bible, I reject the assertion of anyone who attempts to diminish and deny my claim of being a Christian and/or a child of God because I don’t read the Bible the one way that individual says it has to be read. As a biblical scholar and a professor of religion, I also teach my students not to allow anyone to diminish and deny their claim of being a Christian and/or a child of God because they don’t read the Bible the way someone else tells them they have to read it. There is no one correct way of reading the Bible, and anyone who tries to teach otherwise would benefit greatly from a Ph.D. in biblical studies.